Was Die Hard With a Vengeance Originally Written as Lethal Weapon 4? « Was 77 Sunset Strip’s Pilot Released First as a Film Just to Take Away Rights from the Show’s Creator? Here is the latest in a series of examinations into urban legends about movies and whether they are true or false. 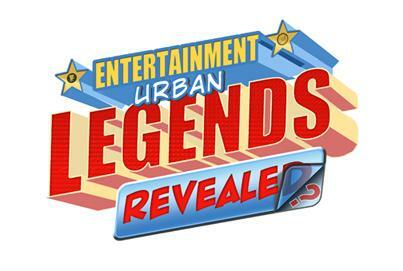 Click here to view an archive of the movie urban legends featured so far. MOVIE URBAN LEGEND: Die Hard With a Vengeance was originally written as Lethal Weapon 4. An interesting aspect about the recent release of A Good Day to Die Hard is that it is the first film of the five Die Hard films to be based on a story actually starring John McClane, the lead character of the Die Hard film series (played by Bruce Willis). The first four films in the series were all adapted from novels and/or screenplays starring other characters that were adapted into Die Hard films (you can read about the convoluted origins of the Die Hard franchise in an old Movie Urban Legends Revealed here). A recurring legend along these lines is that the third Die Hard film, Die Hard With a Vengeance, was originally written as the fourth Lethal Weapon film (the film series starring Mel Gibson and Danny Glover as LAPD detectives). In case you’ve never seen the film, Die Hard With a Vengeance features a mysterious man named “Simon” terrorizing the City of New York with the threat of serious explosions unless suspended Lieutenant John McClane does a series of tasks. The first includes going into a predominantly African-American neighborhood while wearing a sign with a racial slur on it. Local shop owner Zeus Carver (played by Samuel L. Jackson) saves McClane from being killed by a gang and soon Carver is pulled into the series of challenges, as well. McClane eventually learns that “Simon” is Simon “Peter” Gruber (played by Jeremy Irons), brother of Hans Gruber, the bad guy in the first Die Hard film. “Simon” is seemingly seeking revenge against McClane for killing his brother, but McClane knows the Gruber modus operandi too well and he realizes that this whole series of games is just a distraction for his real plan, which is to rob $140 billion worth of gold bullion from the Federal Reserve Bank of New York in Wall Street. As you might expect, eventually McClane stops Gruber and kills him in a dramatic final battle. So, was that written for a fourth Lethal Weapon film? Was the McClane role meant for Mel Gibson’s Martin Riggs? Was the Carver role meant for Danny Glover’s Roger Murtaugh? Not really, no. Screenwriter Jonathan Hensleigh (who had recently made the transition from being a lawyer into being a screenwriter in his 30s) sold a screenplay tentatively titled Simon Says to 20th Century Fox in 1993 (it might have been late 1992, I am not sure on the exact date of the sale). 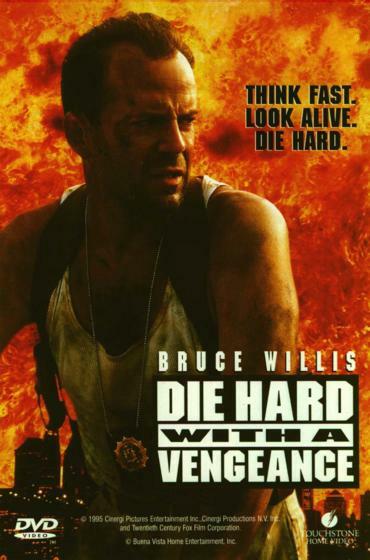 The original screenplay was very much like what we eventually saw in Die Hard With a Vengeance, except that Simon’s motives would be exactly as they seemed, just seeking revenge (so basically the entire second half of the movie was unique to the Die Hard script). Hensleigh noted on the commentary for Die Hard With a Vengeance that the idea for the story came to him when he thought about an incident in his childhood when he had injured one of his friends. What if that friend had never gotten over it and tried to get revenge years later? That was the basic concept behind the script. Fox purchased the film with the intention of turning it into a starring vehicle for burgeoning action star Brandon Lee, who had just done the action film Rapid Fire. It was a hit and Fox felt that he was going to be a big deal, so they began negotiations on sequels to Rapid Fire as well as developing other starring vehicles for Lee, including Simon Says. The original screenplay would star a New York cop named Alex Bradshaw (played by Lee) with the character that became Zeus Carver being an African-American woman instead of a man. Tragically, Lee was killed during the filming of his next film, The Crow, in 1993. The script went back into the pile of available scripts owned by Fox. It was still a well-regarded script, though, which is very important when it comes to sequels, as you have to try to convince some of these stars to come back for another film when they really are not particularly interested in doing another sequel (Bruce Willis notably turned down a number of scripts for a third Die Hard film during the early 1990s). So when Warner Brothers and producer Joel Silver were looking to make a fourth Lethal Weapon film, they contacted Fox and tried to buy the script to adapt into Lethal Weapon 4. So that’s undoubtedly where the legend comes from. However, the sale never actually occurred (they did not end up finding a good enough script for Lethal Weapon 4 until 1998). Eventually, director John McTiernan (the director of the first Die Hard film) discovered the script and adapted it into Die Hard With a Vengeance in 1995 (still at 20th Century Fox). This entry was posted on Wednesday, April 10th, 2013 at 9:06 am	and is filed under Movie Urban Legends Revealed. You can follow any responses to this entry through the RSS 2.0 feed. You can leave a response, or trackback from your own site.